October weather in St. Louis, Missouri can't be beat. Plenty of sunshine, warm but comfortable days, and crisp cool nights make getting outdoors a must. Once the leaves start to change colors, a fall festival or road trip is a great way to spend a day. The end of the month means haunted houses and plenty of Halloween celebrations. Every year during the first weekend of October, the Missouri Botanical Garden is transformed into a giant outdoor market. 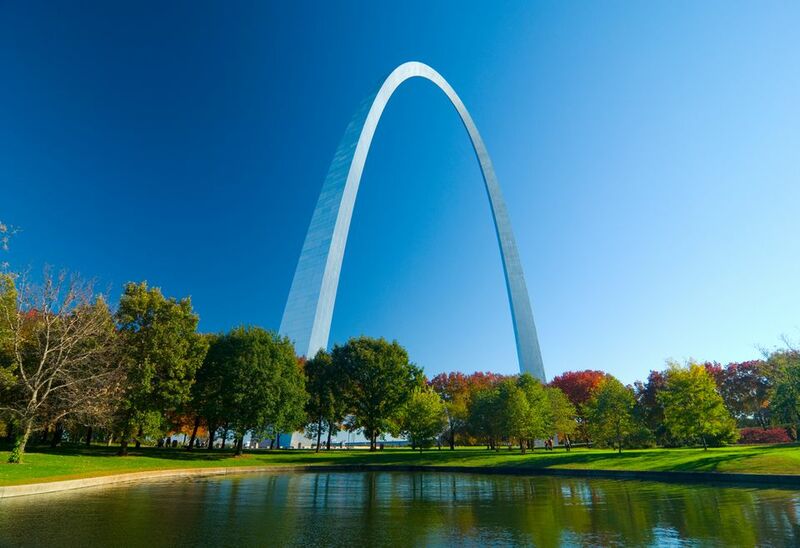 The Best of Missouri Market features the finest products grown and made in the Show-Me State. You can sample and buy dozens of foods or get an early start on your holiday shopping. The historic Shaw neighborhood near the Botanical Garden holds its annual art fair each year during the same weekend as the Best of Missouri Market. The two-day event features art from more than 135 artists and craftspeople, as well as live music and a food court. You'll find everything from clay to printmaking and sculpture, as well as traditional works on canvas and paper. This independent festival is a local favorite. Founded in 2005, the annual street festival is a favorite fall event for many in the Grove neighborhood in St. Louis. Music is the primary focus here, as the musical lineups range from hip-hop to blues and rock, but there are also street performers and plenty of dining options as well. Beer lovers should head to Augusta at the beginning of October for the Augusta Bottoms Beer Festival. More than 40 breweries from across the state serve up their favorite brews, including St. Louis favorites 4 Hands, Civil Life, Square One, and Cathedral Square. Augusta is also the heart of Missouri's burgeoning wine country, so a fall weekend here, when foliage is at its best, is a must! There are several places to go when you want a real Halloween fright in St. Louis. The Darkness Haunted House in Soulard is ranked as one of the best in the country by AOL, HauntWorld.com and USA Today, and draws big crowds every year, but there's also Creepyworld in Fenton, produced by the same folks as The Darkness, and Haunted Paintball Park in Millstadt. For wine lovers, Hermann, Missouri, is the place to be during Oktoberfest. This small town comes alive each weekend in October, welcoming thousands of visitors to Stone Hill and its other wineries. It's also easy to get to: You can get there by car, Amtrak, or bike via the Katy Trail. For a different kind of Oktoberfest celebration, make a visit to the St. Louis Zoo. Each year in October, the zoo puts its own twist on the famous German celebration with its own party, called Zootoberfest. Kids can play games and learn about animals while mom and dad enjoy German food and beer in the traditional biergarten. Enjoy a taste of fall at the Florissant Old Town Fall Festival. This annual event includes about ten blocks of vendors selling food, crafts, art and more along Rue St. Francois in Florissant. There is also a dog show, wagon rides, and activities for the kids. Residents on "The Hill," St. Louis' famous Italian neighborhood, celebrate their rich history in October with the annual Columbus Day Parade and Festival. The parade typically starts at noon at Kings Highway and Southwest Avenue. Everyone is invited to line the route and watch the floats, cars, and bands go by, then head over to Berra Park for an afternoon of food, music, and fun. Harvest Festival is a unique fall event held at the Laumeier Sculpture Park, a 105-acre open-air museum and sculpture park. It includes a farmers' market with locally-grown Missouri produce, wine and beer from Missouri producers, live music, food vendors, artisans, and more. Step into a 16th-century French village, complete with period costumes, jousting demonstrations, crafts, food, music and more at the St. Louis Renaissance Festival. This month-long event is typically held at the Rotary Park in Wentzville. The Apple Butter Festival is Kimmswick, Missouri's largest celebration of the year. More than 100,000 visitors fill Market Street and the city park to sample apple butter and dozens of other foods, while hundreds of craft vendors sell their goods at booths around town. Impressive pumpkin carving displays are also a popular attraction at this charming festival. The Great Godfrey Maze continues to welcome visitors this month. The seven-acre corn maze is a fall tradition at Glazebrook Park. Go during the day or bring a flashlight for the haunted maze on Friday and Saturday nights. While you're visiting, you can also take a ride on a hay wagon or a cow train.